I knew I’d written about my “top ten books” many years ago, but I couldn’t find the article on my earlier book blog where I thought it would be. I’ve now found it on an almost forgotten site that I had several years ago before I migrated to WordPress. A link to the original article is provided below, and an explanation of my list can be read there. Back then my “top ten” had only three books listed. 3) Dracula, by Bram Stoker. They were all books that had a significant effect on me at the time of reading, and that is why they made my list. If I’d started the list today, its possible none of them would have been included – which clearly would make for a pitiful top ten. Since I wrote that article, only one other novel has appealed enough to be added to my list – leaving only six more slots to fill. 4) The Book Thief, by Markus Zusak. It’s a book I read in 2011 (when I called it my ‘book of the year’) and therefore has not been hurriedly added to the list. I wanted to revisit my top ten because not long ago I discovered a podcast related to Frank Herbert’s Dune series. The opening few minutes of the first episode were an excerpt from the beginning of David Lynch’s film version of the story. The spoken monologue and the introductory music from the soundtrack gave me goose bumps (particularly the music), and made me want to dig Dune out of my book cupboard as soon as I can. I’m not sure I can even think of starting the book I’d originally planned to start reading today, until I’ve dealt with Dune again. I liked this article posted by author Nick Earls. Brisbane’s last walk-in video store is about to close. I can’t say I realised one was still open, but it’s not a bad time to pause and note the transience of an industry that started from nothing only 40 years ago, became a staple of suburban life, seemed irreplaceable as recently as the turn of the century and then skidded abruptly into the ditch of obsolescence. I see it’s been over three months since I posted anything here. It’s also been a while since I updated my “Books Read” list. The latter is because my reading progress has been very slow recently and I’ve been struggling through some books of non-fiction, that while interesting, don’t have that page-turner nature. Note that any comments submitted to this site during my absence will have to wait for my return before passing through moderation. Baghdad Burning by Riverbend (Clashes and Churches). 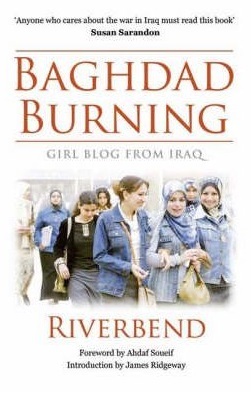 I’ve now finished reading the first volume of Baghdad Burning, by Riverbend; the blog of an Iraqi woman published in book form. Whether in book form or the blog itself, I feel it should be essential reading: even compulsory reading for anyone who thinks the 2nd Bush war against Iraq was justified. However, anyone who takes that view, would be unlikely to have their opinion changed by the words of someone who was on the receiving end of Bush’s “crusade” who saw the effects it had on what was once a thriving nation (albeit one ruled by a malignant dictator). Last week churches were bombed- everyone heard about that. We were all horrified with it. For decades- no centuries- churches and mosques have stood side by side in Iraq. We celebrate Christmas and Easter with our Christian friends and they celebrate our Eids with us. We never categorised each other as “Christian” and “Muslim”… It never really mattered. We were neighbours and friends and we respected each other’s religious customs and holidays. We have many differing beliefs- some of them fundamental- but it never mattered. It makes me miserable to think that Christians no longer feel safe. I know we’re all feeling insecure right now, but there was always that sense of security between differing religions. Many Iraqis have been inside churches to attend weddings, baptisms, and funerals. Christians have been suffering since the end of the war. Some of them are being driven out of their homes in the south and even in some areas in Baghdad and the north. Others are being pressured to dress a certain way or not attend church, etc. So many of them are thinking of leaving abroad and it’s such a huge loss. We have famous Christian surgeons, professors, artists, and musicians. It has always been an Iraqi quality in the region- we’re famous for the fact that we all get along so well. I’m convinced the people who set up these explosions are people who are trying to give Islam the worst possible image. It has nothing to do with Islam- just as this war and occupation has nothing to do with Christianity and Jesus- no matter how much Bush tries to pretend it does. That’s a part of the problem- many people feel this war and the current situation is a crusade of sorts. ‘Islam’ is the new communism. It’s the new Cold War to frighten Americans into arming themselves to the teeth and attacking other nations in ‘self-defence’. I’ll get around to reading the second volume of Riverbend’s writings when I’ve had a short break to read other things. While the writing style is easy – the content is much more challenging to deal with. I could only read it in short sections – maybe one or two blog posts at most. The realities of what was done to Iraq and its people, all in the name of western political lies is hard to digest. And yet, if it was so challenging to read about – I can’t imagine what it was AND IS like to live through, day by day, year by year. Baghdad Burning should be compulsory reading for every US, British and Australian citizen. It clearly describes how those nations helped destroy peoples’ lives and culture, all in the name of family Bush and those nations who followed them based on blatant falsehoods. The book should be compulsory reading for political or military leader who think their invasion of another country is in the best interests of the people of that country. While published as books in two volumes, Baghdad Burning was originally written as blog entries, as events unfolded, by an Iraqi woman as the life she knew was destroyed by the Bush family invasion of her country and its aftermath. Well written. Grippingly informative. Devastatingly frank. Even at times joyful and humorous. It’s not easy reading. It can’t be read quickly. It requires regular breaks to reflect on what has been said. To reflect on the injustice, outright criminality and corruption all carried out in the name of “freedom” and “democracy”. The blog is still available on line, don’t forget to start at the beginning by using the menu on the side bar, and don’t read in reverse order by starting at the opening page and working downwards. 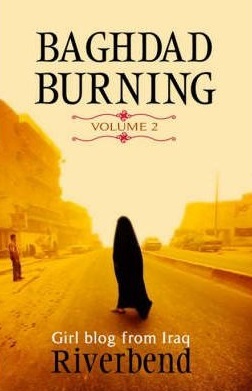 However if you are interested in the books volume one is available here, at the time of writing this it was half price: https://www.bookdepository.com/Baghdad-Burning/9780714531304. The blog content has been released in book form, with two volumes. After reading through the first few entries on the blog I didn’t hesitate to order the books. Most of the emails moved me to… gratitude. Thank you for understanding… no, thank you for even *trying* to understand. Other emails, on the other hand, were full of criticism, cynicism and anger. You really don’t have to read my blog if you don’t want to and you certainly don’t have to email me telling me how much you hate it. It’s great to get questions and differing opinions- but please be intelligent about it, and above all, creative- if I want to hear what Fox News has to say, I’ll watch it. And keep one thing in mind- tanks and guns can break my bones, but emails can be deleted. Since I started my “books read” list in November 2009, I’ve read 298 books (as of today). That means I’m only 2 books away from the triple century milestone and have read an average of 40+ books per year for the past 6-7 years. Just continue reading and ignore the “significance” of my 300th book? Or do I make sure I hit that target with a book of significance? But what would be a suitably significant book to read as my 300th? I don’t have much time to make the choice. I’ll be starting book 299 today.